Pounds or Inches Lost: I’ve lost 19 pounds so far! 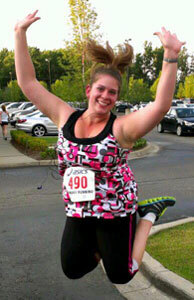 Christina is a ShapeFit member who goes by the username of rockchick_82808 and she has contributed to the ShapeFit forum where she documents her weight loss journey (read her forum topic). This is a candid and heartfelt interview with Bossman, the ShapeFit.com forum moderator. 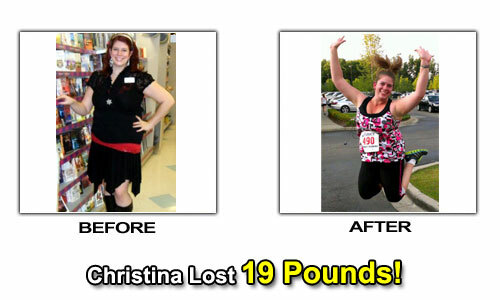 When Christina first joined ShapeFit.com in July 2009 at age 21, she had been training for around 2 months. 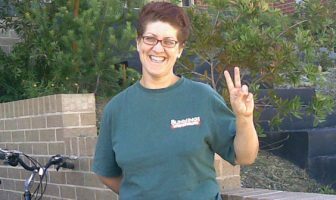 In that time, she had gone from around 222 pounds to 216 pounds and was looking forward to changing her life for the better. Since then, things have been very up and down for Christina and sometimes it has felt like weight loss is a task, that has been too difficult to achieve. However, through perseverance and finding a new direction in recent months, Christina is finally finding the right path to a new and more fulfilled self. This is a conversation where Christina talks candidly to Bossman about how she started on this journey, how it’s gone and what she believes is possible in the future. So Christina, please tell the readers a little about why you decided to start on a weight loss journey. When I initially started to get back in the game of weight loss, it was because of a picture that was taken of me on my last day at my old job. Before that day, I didn’t allow myself to take full body shots. I knew I had gained weight since my size 16 jeans were now a size 22! Not only that, but my poor scale was screaming in pain when I bumped from 213 to 241! I just didn’t want to face it. Caught up in the fun of my going away party at my job, I didn’t care if full body shots were taken. When I got home that night and looked at them, I was in shock! I started to cry and asked myself “how did I get here? How could I of allowed myself to get this way?” It was in that moment I decided to make a change. With starting a new job, and working my way to becoming debt free, I decided to make this year, an all around new beginning. Clearly a life affirming moment then; so can you please tell myself and the readers, what steps did you take to start making your end goals a reality? After my first month at my new job, I saved enough money to re-enroll at a local gym. I knew that when I joined I needed help. I couldn’t do this on my own. If I am going to dedicate myself to this, it’s all in or nothing. My gym set me up with a fit point. The fit point is a series of tests to determine my body fat percentage and body age. My body fat was 44%! My body age was 49! The results were depressing, but instead of feeling down and hiding in a corner, I faced it. I even said to the trainer administering the test, that these figures will never be seen again! A couple of weeks later I joined a group at the gym called TEAM WEIGHT LOSS. A rigorous cardio based program with some minor weight lifting and resistance training. We met up three days a week. Monday was half workout and half nutrition. 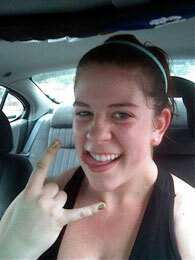 Wednesday was all treadmill and dumbbells, and Friday we went outside to do lunges, sprints, tire flipping, etc. Becoming a part of something like this held me accountable to attend the class, and it became something to look forward to! With my amazing trainer Shelly who motivated me, cheered me on and kept pushing me along the way, it became fun! Even the other people who were a part of the class helped me meet those who had similar goals. 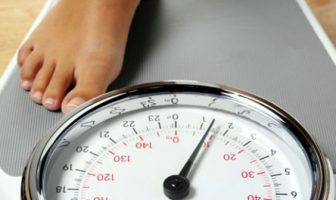 Sounds like you found the right antidote to your problems; but in your own opinion, what was it that so often caused your weight loss attempts to stutter? I went through a series of events over the years that caused me to fall back. I had a very bad home life where family treated me poorly. I moved multiple times and at one point chose to live out of my car, because going “home” was unbearable. I was put down constantly and their words and actions made me feel worthless which put me into a deep depression. Once my boyfriend came into my life, everything changed. His family took me in and gave me the life I never thought I would have. Even though that was a major positive change, other things occurred. My grandfather died and at the age of 22 I had organized his funeral myself and was by my grandmother’s side through it all. I was even at the hospital with her the moment he passed. To top it all off, I was swallowed alive in debt. I realized with the job I had, it would take me years to get things paid off. The idea of going to college was out of the question. I was just miserable with where everything in my life was going. I became unsocial, I was grouchy, sad, and soon it began to affect the ones I loved. Obviously a very difficult time for you, and I think myself and the readers can appreciate how difficult and challenging the nature of your circumstances must have been at the time. So when there were moments where things did seem to fall apart a little bit, at what point in the last 3 years, did you feel like you were at your lowest and can you please describe your feelings and how they manifested themselves? The moment I felt the lowest, was when everything hit me. All those events just took a toll on me. Every time I looked in the mirror I hated what I saw. One day, I had an anxiety attack in the shower and fell to the floor in tears. I was crying too much and so loud my boyfriend found me. He turned off the shower, wrapped me in a towel and sat there with his arms around me until I calmed down. The next day I realized I could either continue down this dark road that lead to nothing but deeper depression and self hate, or I could create my own path and give myself the life I deserved. 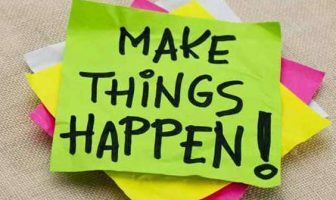 So at what point do you think things finally started to click and what prompted this new, more productive change to your life, that you currently are undergoing? When I joined Team Weight Loss, the first three weeks I did great on the workouts, but I didn’t change my eating habits. It wasn’t until the second weigh in when I noticed I gained a pound and then it just clicked! Here I was working so hard in the gym and getting no results. This isn’t the life I wanted for myself. 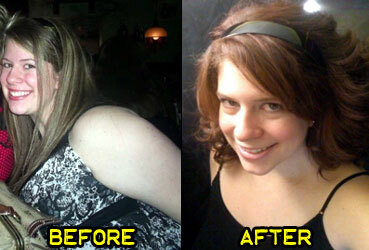 I was not only embarrassed about the weight gain, but mad at myself for sabotaging myself. I had the constant fear of failure and instead of allowing the slight chance of failure happening, I created it. Enough was enough. I had to slap fear in the face and say bring it, because it’s now or never to make a change. Not tomorrow, or the next day, NOW! However, I feel that sometimes, some of the hardest realizations to swallow can be some of the most defining revelations in our lives, as I’m sure some people reading this will agree with. So if you can, can you please describe how you feel about your weight loss efforts currently and how you feel about the future? I feel amazing about my current success! It has been consistent which in itself is a big motivator. Over the past 14 weeks my views on this weight loss journey have changed. When I first started, my only goal was focused on weight loss. As time passed and I saw myself creating new milestones, such as completing my first boot camp course (not to mention being the only non-boot camp member there and not lean and cut like the others) and I realized there is so much more to take from this. It’s about creating an all over new lifestyle. To take on the world in a new way. I recently completed my first 3.4 mile race last week! Last year I was only able to jog 1 mile. On the home stretch of the race, I began to cry because at that moment I realized just how far I have truly come. From here on out, I only keep looking up and I know the future for me is a bright one. I can’t wait to see how I continue to grow from this. I think it’s great to see you have found a more settled and positive outlook on life and if there are any lessons you have learned, or things you can pass on to others in the past 3 years, could you please tell myself and the readers what those are? The biggest lesson I have learned is that success is a journey, not a destination. The doing is often more important than the outcome. No matter how hard things may be, you have to continue to find the strength in yourself to keep going. There will be people who will put you down, say horrible and hurtful things that go skin deep. You need to say to yourself, “This is my life. I am the one who has to live it.” If you don’t have friends or close ones at home who are interested in being fit, don’t hesitate to go the gym like I did. The mental aspect is the hardest to overcome. Don’t allow yourself to think you don’t belong there, because you do. Don’t worry about what others may be thinking of you when you’re there. Stay focused on why you’re there! Most of all, don’t you ever, not for one second, say or think the words, “I can’t.” Truth is you CAN! When you change your way of thinking and push through it, you will be proud of what you will accomplish. Find a good support group. Don’t be afraid to talk to the people here on ShapeFit.com using FitTracker and the fitness forum. Everyone on ShapeFit is here to help one another. You don’t need to be alone. Whether its making friends on this site, starting a blog, making friends with the gym staff or the gym members, find someone you can talk to. Having a good support system that keeps you motivated is the key to continued success. Lastly, celebrate every little achievement along the way! Make what you do fun and have fun celebrating it! Whether you celebrate walking the extra distance, jogging further than ever before, or running your first race, you have bragging rights and use them! You deserve it! You work hard day in and day out to achieve your goals. You earned the right for the happiness you have been working so hard for! So finally, is there one thing you would like to say that sums up your whole journey so far? The one thing I can say about this journey so far, is its life altering. The more success I have, the more I want to push myself and try new things. Every day is a learning experience. I’m still not perfect at my eating habits, but knowing that I keep putting in the best effort possible and that over time I will get where I need to be, keeps me thinking positive. I don’t beat myself up anymore if I slip on occasions. I just lift myself up and try again. Change doesn’t happen overnight, but it won’t happen at all if I don’t put in the effort. Well, I must say thank you very much for your time and kindness Christina, you have been extremely gracious. As far as the future goes, it seems that for this bubbly young lady, there is definitely a lot of sunshine on the horizon and the chance to live a healthier and more productive life. The message I want to send with this interview, is to highlight that with a bit of continued self belief and by finding healthy, safe and productive ways to enhance your well-being without using stupid diets, pills, surgery or other methods, you too can improve your chances of losing weight and becoming happier and healthier like Christina. As you just learned with Christina’s story, every life is a gift to the person and not one to misuse, but if you choose to make a positive step to a better you, then you deserve the right to find that person that exists inside of you and you too, can make your life so much more productive and enriching. Christina is doing that and proving what any individual of any age with weight problems can be capable of and I hope that you can find some inspiration or comfort from Christina’s wonderful story. If you want to read more about Christina’s journey and follow her progress then please check out her topic in ShapeFit’s fitness forum.